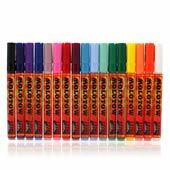 Art Primo Solid Paint Marker Silver The wait is over: AP Silver Streaker Markers have landed! This SILVER Solid Paint Marker Formula is the first metallic permanent streaker on the market to feature both a buttery smooth texture and extreme UV, water, and buff resistance. Art Primo exclusive. About this product: The Art Primo Solid Paint Marker offers unsurpassed permanence, fade resistance, and a smooth texture in bright and opaque colors. Performs in all weather and all temperature. Can be used underwater. Designed for graffiti artists, by graffiti artists. Tested on surfaces worldwide. 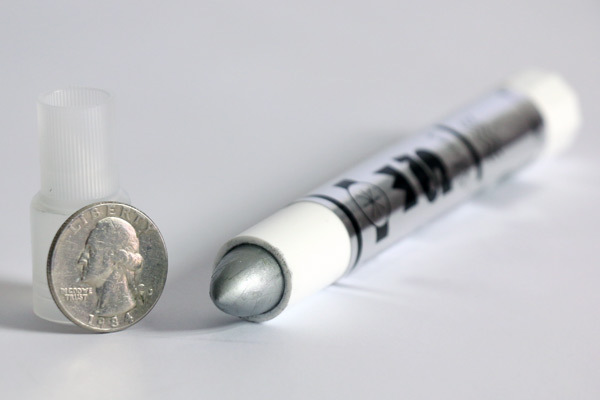 The wait is over: AP Silver Streaker Markers have landed! This SILVER Solid Paint Marker Formula is the first metallic permanent streaker on the market to feature both a buttery smooth texture and extreme UV, water, and buff resistance. Art Primo exclusive. About this product: The Art Primo Solid Paint Marker offers unsurpassed permanence, fade resistance, and a smooth texture in bright and opaque colors. Performs in all weather and all temperature. Can be used underwater. Designed for graffiti artists, by graffiti artists. Tested on surfaces worldwide. Looks like no one else is gonna review this beast of streak aka The Super Silver Butter from the Planet Primo. I got one of these and the black one in the Split streaker pack that comes with the free Art Primo slappy stickers...dope deal. This is by far the most buttery smooth solid paint marker I have EVER used. The first few tags I realized I was pressing down WAAAY to hard. This isn't your grandpas hobo marker. I love my Markal hobo's and Sakura streakers, but this thing is on another level. Plus, where else can you get a silver streaker? 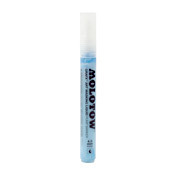 My only complaint is that AP came out with this silver streaker of superb quality...but now I want them release their own ink's for refilling my mops and pens cause I know they only put their name behind good products. I plan on purchasing a few more of these in the recent future. 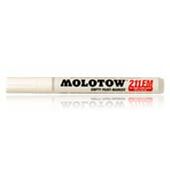 If your used to super tuff hobo markers then you will dig this buttery goodness. This product was added to our catalog on Tuesday May 22, 2018.